At Lamco Systems, we’re always looking for new ways to serve our customers. With geothermal heating and cooling gaining more traction in the modern marketplace, we’re excited when customers decide that it’s the best option for their new home. Geothermal systems can be much more efficient than traditional furnaces or air conditioners, and they’re so quiet that the homeowners rarely know when they’re running. In this post, we’ll look at some basic questions regarding these systems, and hopefully you’ll learn how they can benefit your house! This is the question that’s perhaps asked most often, and we’re always happy to answer it. 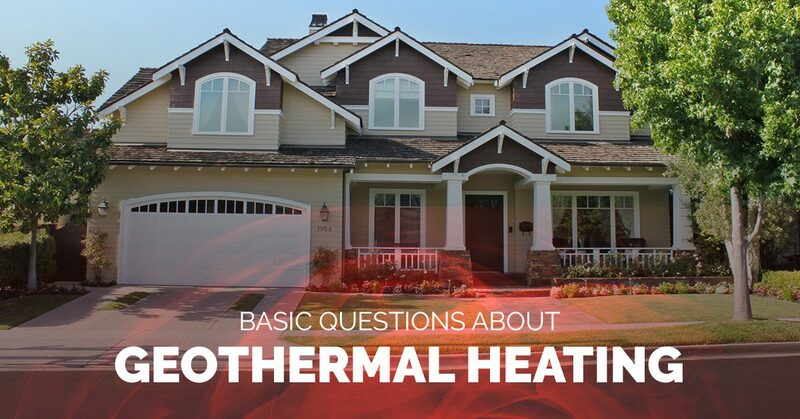 The basic answer is that geothermal energy is the heat within the earth’s crust that your new system taps into to warm your home. The energy is created as the earth stores solar heat from the sun, making it a sustainable and economical resource! 2. 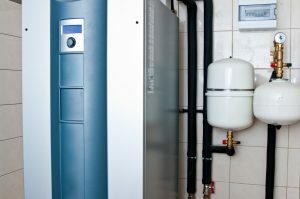 How Can a Heat Pump Both Warm and Cool My House? This is always a fun question to get, as it gives us the opportunity to show what our heat pumps can do. During the colder months, your geothermal system draws energy from the earth, warms it up, and distributes it throughout your home. When warmer weather returns, you can simply reverse the flow, pulling warm air out of your home. Many customers are amazed when they realize they don’t need two separate systems to heat and cool their house! 3. How Long Will the System Last? With proper maintenance, your geothermal system can last for many, many years. The underground piping, if installed correctly, can last up to 50 years, and each type carries its own warranty. The heat pump itself can last up to 20 to 25 years, and perhaps more if it’s maintained on a regular basis. The Lamco team will gladly help you choose the best options for you home, and explain how long you can expect your new system to last. 4. What Value Will the System Add to My Home? You may plan to live in your current home for many years, but if you’re planning to sell sometime in the future, a geothermal system can add value to your house. Homebuyers are always looking for houses with more efficiency and less energy costs, and a new heat pump system can provide both. A home appraiser can give you a better estimate of exactly how much value your system will add, but we’re confident that it will be quite a bit. If you’re interested in geothermal options for your home, you might be wondering how you can get started. When you contact us in Merrimack Valley, we’ll come to your home and provide you with a thorough assessment. Once complete, we’ll recommend the best heat pump and provide you with a quote for installation and setup. Our HVAC technician will cover all the details and answer all of your questions to the best of their ability.